With a little over two weeks before the Feb 27 trade deadline, the Magic vs Hawks home game turns out to be the last home game for the Atlanta Hawks. 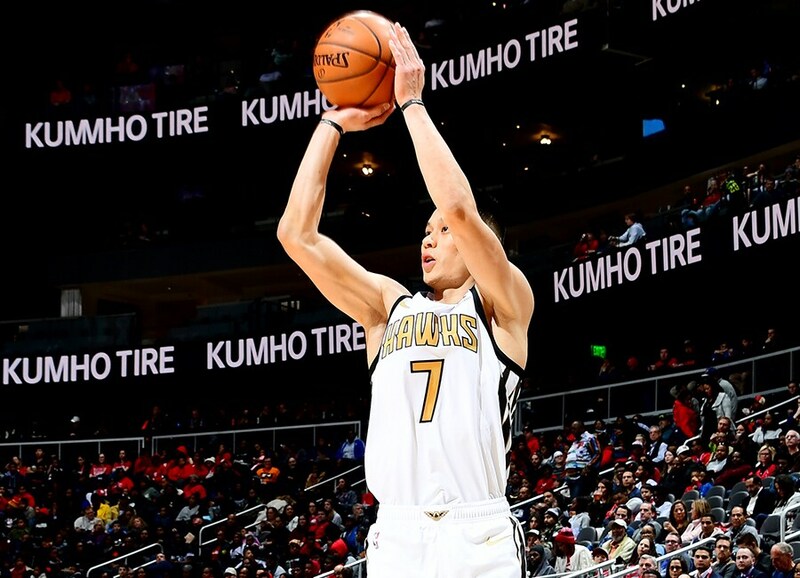 It might be the last home game for Atlanta Hawks veteran players such as Jeremy Lin, Dewayne Dedmon, and Kent Bazemore that have been recently reported as being made available for trade by the Hawks. As a reminder, Hawks-Magic is ATL’s final home game until after the trade deadline. The trade deadline is 17 days from now. Orlando Magic was reporter to be interested in Jeremy Lin in mid December but recently the Magic has been reported to be interested in Boston Celtics backup point guard Terry Rozier. How am I not surprised Magic are more interested in other PG? I never felt Clifford thought high of Lin. Countdown clock: 17 days before Feb 7 trade deadline! I wouldn’t make much of it yet. With this trade talk, it’s always possible one trade talk can be used for a leverage against other trade that a team really wants. In other words, it’s possible that Magic wants Lin but uses Rozier trade talk as a leverage because the Hawks asks too much for JLin. But it’s also possible that Magic moves on from the interest in Lin back in Dec & early January. There are so many potential misdirection in this trade negotiation. Atlanta really wants 1st round pick for JLin but so far we only heard that the Blazers was the only one willing to send it to Atlanta. But then again, it could be an unknown team who really wants JLin. I feel Hawks are holding out for the best offer! Perhaps their asking price for Lin is sky high! Fully agree with the leverage tactics here. From what I’ve heard, the Hawks are asking for a first round pick for Lin and team are balking at the asking price and I don’t blame them. As much as I love Lin, no team should offer a first round pick for him because he could simply leave this summer and it’s no guaranty he’ll adjust to their team fast enough to make a difference and make the playoff. Hopefully, the Hawks panics at rumors of Magic interest in Rozier and lower their price for Lin. Jeremy, PLEASE join the raptors. That’s all. Usually they want to attached certain assets with JL for picks or demanding young promising assets in return..
Trade is win – win and lets hope for the best. The Hawks have their Lunar New Year celebration scheduled for Feb. 7. They’ve also scheduled a post-game chat with Jeremy Lin and fans. Am i the only one watching the game??? He ignores his point guard! I think that’s LP and system. The guards and wings all do. Not so much the big men. See if that’s also true when TY is out there…..? Lin has a turnover? Missed it….anyone see it? Game on NBATV. Not so great. They don’t replay the games. Lin should have taken that shot. Len should have given it back to Lin. Not Len’s game at that range. Hamilton playing for his NBA life… too hyped up.. Prince is too shot-happy, killing the chemistry of this lineup. The ball movement was so good last game (even if they lost). People not playing within their own games today. Doing things they shouldn’t do. Don’t like how Prince plays. NOT AT ALL. Offense, or defense. So happy Lin having a good scoring game. On NBA TV. They can’t ignore it. He looks small, next to Lin. I remember when Lin posted him up and scored easily…. McHale’s ugly mug on NBA TV. I have to turn it off. orlando has lost 3 in a row. Anybody who could stomach McHale? They say anything about Lin? Probably not….sigh…. Figures… the usual NBATV treatment of Lin. I don’t think Prince is good, period. I don’t think he fits on this team. Glad that Lin gets the PT (14 min.!) and points (12!) for the 1st half! Gotta give Bembry credit. He’s good with the steals. Just wish he’s better finisher on the offensive end. lin to orlando wouldn’t be that bad IMHO.. he would forsure start and would get a chance to play under clifford who used lin better than every coach except MDA IMHO. Man, Dedmon, 4 for 4 from 3…. shooting better than the wings (and the guards)…. anyone know if lin conversed with clifford before the game? Lin having a good game….hope the REFS won’t “MESS” it up…. Yeah, but Prince couldn’t even hit the wide open ones…. Gotta love how Nique kept praising Lin’s drives and decision-making 3 times now even when he missed. Again, Bembry good defender, but stop taking bad shots! Collins has to learn when to pass out and go back up in traffic! orlando made some hard shots. IMO, that’s when a team is playing in rhythm…. The Hawks are NOT playing with any cohesion or rhythm today. I blame it on Prince. As a matter of fact, I blame the last loss to Celtics on Prince too. with the passive way he playing.. if i”m a coach i would too..
it’s nojt just getting teammates involves.. it’s points score also. Lin 12 pts in 16 mins. Then 1 pt in 8 mins. SMH. it’s points.. no point.. no win. and lin has the biggest plus minus… anyone here saying saything now? To me whether it’s big plus or not.. this stats is overrated and pointless. maybe I shouldn’t watch.. I was watching the last 10 minutes. Never thought I would ever say this! But if and when Lin leaves, I will miss these guys. Okay, thanks. That would be good. JUST KIDDING! Another bad decision by Prince. Lin was doing a lot of that “probing” even in Kenny’s system with the Nets. Len not being played to his best today. Standing in the corner to shoot 3’s. He was having some great games lately in the pick-and-roll. But only 13 mins so far today. HOW YOU ARE BEING UTILIZED MAKES A DIFFERENCE! I’m picking on Prince today. Lin comes into game, talks to him, and Prince is like “huh”? That’s not what he’s better at. He can make the occasional 3. But he’s shooting 30% this year. Why are the bigs, Collins on that last drive, clogging the lane? Give Lin room to work! from dj’s face, I think he think he is much better than lin and thus I sense big conflict if he gets there and get starting job. you can tell he was trying showcase himself too to prove that he is better after that lin run. But again, if lin goes there he might not be a starter there either.. he will be dj’s backup. JLIN got his stats! Made a 3! Silver lining, Orlando wins. Need to keep pressure on Hornets and Nets standings. nets do fine with russelbrussel. This wouldn’t be true if Lin was traded to Toronto, Philly or Portland where he’d be backing-up high-regarded PGs. They would be fair competition between Lin and DJ when it comes to minutes, but DJ would remain the starter because he knows the offense and been in the locker room with the Magic teammates the longest….and he’s done well enough..he simply doesn’t score enough in my opinion. Lin would simply go there to get maximum minutes which I believe Orlando is 1 of very few team that can offer Lin at least 25mpg. even right now… they came back now it’s 10 pt lead. that’s what happens when you allow 19 fga (russel) and that players makes it in..
take a look at all champion caliber teams.. all have high volume shooters who can make them in… not efficient ones. if you get 10 in, that 20 points+ or 50%. I don’t see why there was high volume shooters when lin was there. Vucevic. 23 shots for 29 points. As a big man, shooting 52%, that’s not good is it? Why are there so many Vucevic trade rumors? Why would Orlando want to lose him? Contract problems? If you don’t stop, I’m gonna have to block you for today…..post on Nets Daily! “The Hawks, already an awful team, somehow manage to — one part of a season doesn’t prove anything, but it’s not a great sign. Defense, naturally, is where the Hawks fall apart when he plays. He regularly lets point guards get right to the rim, like or. Picks, in general, cause him a lot of trouble; watch him stumble here and. Some of that is poor team communication and the blame can be shared, but Young isn’t helping in any appreciable way. sht.. it’s 22 points lead 12/25. that’s fine. you can block me for today because I know ppl here might not follow what happens to the nets..but I think they should be awake and aware that maybe they right they don’t need lin on the team now after their discovery of talent. I was expecting them to not even get the 8ths seed..but look…they seem doing fine. So who the credit goes to? SM? KA? dlo? dinwid? And have to also consider hey.. why dlo taking 25 shots..and yet he is geting 30 points and they winning.. so did kA changed. what happen. So is there bitterness that dlo is there instead of lin.. I feel a bit bitter. All these are something you ponder about as a lin fan. It depends on how he wins a ring…If he goes to the Warriors and only play like 12-15 minutes a game, it wouldn’t mean much to other teams. Only if he’s playing like 25mpg and actually influence the game, only that will force a team To give him a big contract and a starting spot. I’ve done that already a while ago. I only care if Nets lose…like Dlo threw a blind pass out of bounds to give away the game when they could have just run out the clock. Why bother wasting time following them? Just to get upset? It’s not the first time that Lin got sc–wed. That’s why silver lining today with Orlando winning….Detroit and Washington have to STEP UP! It’s kind of cool to win one with home town, but the chance of getting JL to GSW is kind of slim unless it’s part of major trades or key rotation player injuries. Yeah, for a brief few minutes, I was thinking Lin could easily replace BOTH Livingston and Cook’s minutes…. But I forgot Cousins is in the mix now too. Not a good place to go for this year. “Kevin Huerter was missed today.” Agree. Even as a rookie. With the Nets, it’s bittersweet because on one hand, it’s a validation that Lin made the right choice to join a new startup in Nets 2.5 years ago but unfortunately injuries got in the way of him reaping the results. It’s also a lesson that health is #1 in the NBA. It’s not worth it to sacrifice your body because one is easily replaceable. Giving up 2 points on defensive end can be compensated by 1 good 3pt-shot. I’m not sure if injuries can be preventable in the Nets but going forward, I hope Lin will realize his health + 3pt-sharp shooting + PG leadership are what will keep him in the NBA for a long time. It’s not worth it to take charges like Kobe said; it will mess up his back and shooting form thus his excellent 3P% that he worked hard all offseason long. no huerter, no winner! hahah so corny. Absolutely agree with health being #1! Taking those charges are not a good idea with his back issues. He must know this. Hope someone in his camp has seen your tweet about Kobe, and be reminded. I think Lin plays hard defense because unfortunately, that has been the narrative used against him with Beverley and Price. He may feel the need to constantly fight that narrative. The only caveat I will add. Injuries can happen at any time. Lots of players get banged up, or worse. Just hoping that Lin has already paid his dues with those major injuries in the past. Hoping all good going forward! Speed of Lin highlights. Very short. But nice to have anyway! damn was working how did he play? Pierce played 11 guys again today. My impression is that they can’t get in sync that way. I felt the Hawks were playing better with smaller rotations. Surprised that they didn’t try harder to win with last home game in a while. And on MLK day. Like any stat, need fuller context. But, Donsmacau was right. The worst two-man line-up today. Lin-Young for 11 minutes, MINUS 19! in opposition to some unsupportable grumbling from certain sources lin has a solid actually strong come back game after 4 weak shooting performances. 30 minutes 5 of 9 56% shooting 15 points! of note this was only lin’s second 30 minutes game of the season and for the first time all season he has now played 6 st games of 20 minutes or more and 9 of 10 (20 minutes is above his season average). his per will go up and all other stats. needed a strong statistical game and got it. no reason for hand wringing here except for those with their own long term agenda other than “positive lin …whatever the slogan is here”. 2. for the significance on multiple levels of playing time, duration, endurance. I wonder if Kobe ever told Fisher or Ron Artest to stop taking charges. Breaking news: Bobby Marks: The big winner of Carmelo Anthony traded to Chicago is the Atlanta Hawks. If Anthony is waived by the Bulls, Atlanta will receive a set-off of any additional salary that Anthony would sign for. The Hawks owed Anthony $25.5M as part of his buyout this summer. I’m trying but my memory is failing me. So, you would be happy if Lin is traded to Orlando? Would you get a chance to go to more games? Just watched the replay of game. Did anyone notice Lin giving at least 2-3 alley oop tries for Collins? But on the first one, Collins looked at the pass up high and just let it sail above the rim. On the second one, he let the ball hit the front of the rim, without even trying to catch it. Lin is way too nice to his big men. You asked for high lobs, you got it big guy. Just act like you’ve done it before. Curious, when the kid phenom throws anything to the rim, all the bigs are ready for it. Don’t think it’s about timing.. it’s about expecting the ball to be there. Collins looked like he had a brain freeze about Lin being able to execute an alley oop. I call BS on Collins this game. Yeah, he’s playing too many guys, but than again, their main priority is to develop and give as many young guys minutes. I think he’s a free agent and he could leave while Orlando gets nothing. My guess is they don’t trade him and hope they can make the playoff..they can still offer him the most money come free agency. Agree! LIN HAD A GREAT GAME! More stats: Lin was third in minutes today. But ONLY 5th in Usage%. Given the limitations, he made the most of his usage. True Shooting % was 67%. Yes. And also for evaluation. Maybe to find out who else to keep and/or sign. Guys like Dorsey, Hamilton. Hamilton was playing like a madman today. Just surprised they didn’t do better for the home fans TODAY. Yeah, Hamilton was doing too much. I thought I was the only one who felt Collins could had made an attempt to go up and catch Lin’s alley-hoop…He’s always looking for it with Trae, so I was surprise when he didn’t even jump to go get it. On the second one, I’m not sure whether Lin was trying to shoot or pass…I thought he was shooting and this may be why Collins wasn’t able to catch it before it hit the rim. Didn’t see too much grumbling or hand-wringing today. Actually kinda quiet. Compared to other games. LOL. My own observation for this game. I thought Lin was playing kind of slow and UN-inspiring…..He was much more “energetic and lively” with the ball during the last game but his shot simply wasn’t falling…I prefer his diminor during last game as compare to today’s game. In today’s game, he was simply not that energetic at all but his shot was falling which is all good but it almost felt he was playing with the flue. Maybe it was in this game, they played with less rest in between last game, but the game prior, they came back after a 4 game rest. As if any coach minus MDA ever did?! MDA was the only one aho genuinely believed and praised Lin! Seriously wish MDA left Rockets but coach jobs are tough to come by. Wow that’s almost 30 shots for 30 points he’s a shot chucker! Joe traded Lin so he can be on the NBA’s good side and get a seat in the union of sorts. Obviously that is more important than Lin’s future. Got a link for the replay of the game? Thanks for info. Haven’t kept up. That’s the problem I see with the NBA. Teams draft a good player, develop him, becomes all-star, then either pay him max money or lose him. Lose/trade him for picks. Then it’s kinda like blowing it all up again, tanking again. Pay him max, then no money left for other good players to help win. What a system. I’m oversimplifying. But heckuva way to play basketball as a true team-sport. pls don’t mention his name here cause no one cares. It’s such a fine line. Too much time off, lose rhythm and momentum. Too many games in too many nights, and fatigue sets in, worry about injuries. There are stats that show splits on things like production depending on how many days off for a player. Too lazy to go look them up now. On the contrary, Melo getting cut and waived, AGAIN, is very enjoyable entertainment. Just hope Melo is out for good this time. And that Lin never has to worry about crossing paths with him again. The brief intersection with the Hawks was scary. LOL. Seeing Melo get his just desserts is priceless! Karma! It will catch up with all those who’ve wronged him eventually! LAST DAY TO VOTE ALL-STARS TODAY!!! ALSO COUNTS 2X TODAY! Lin won’t get in anyway. BUT VOTE TO SHOW SUPPORT! I think JLin is laying low for now, conserving his health. I am sure there are things going on in the background as to where JLin will be traded. Or maybe bought out, though I don’t think that that is the way it will work out. He had his “audition” in the TOR game. That was enough. He is a veterano, a known quantity (but still undervalued by the league IMO). I wonder if teams can contact him to see how he would feel coming to their team? Or is this considered tampering? Even though it was his last game in ATL he wasn’t there long enough for there to be a genuine connection so no love lost. Besides, ATL is tanking so who cares! As I have said before, I don’t feel sorry for JLin. He has survived 9 yerars in the NBA, made millions of $$$$ and gained a stage for his messages. No, the ones to care about at this point are the fans (that’s us BTW) who are hungering for a confirmation of Linsanity, the game continues, to affirm our faith in the quality of his BB. Missed the game cause it was during work time. Glad Lin played well. Not sure if it’s the coach’s/GM’s orders but it’s obvious Lin was feeding Collins and ignoring Bembry! Haha about time! Bembry selfish and a shot chucker. I bet GM told LP to stop making plays for Bembry! It’s trade deadline, and there’s no need for showcase. Lin needs to stay healthy for his real team! Sorry, meant recording of game. Lin has been given a role that he could be used over 20 minutes; a non spectacular role. 1. The Orlando Magic Trade Center Nikola Vucevic and a Future 2nd Round Pick for Point Guard Jeremy Lin and the Cavaliers 2019 Top-10 Protected 1st Round Pick. 3. The Portland Trailblazers Trade Guard/forward Evan Turner and a Lottery Protected 2019 1st Round Pick for Point Guard Jeremy Lin. From a Big-Picture-Perspective? No, agree. Not feeling sorry for Lin. As you said, he doesn’t need the money. And he’s got other ventures too. As Harvard econ grad, hope he has invested wisely. But from a BB perspective? It’s been an unfair journey, full of obstacles, preventing Lin from reaching his potential. The potential that we fans see, and that HE HIMSELF feels he can still fulfill. I think he still cares very much to continue playing. He STILL says he loves to play. And again, he would not have worked so hard, through such difficult year-long rehab, if he didn’t still want to play at the highest level possible. His hard work has paid off. He is healthy and playing again. But, once again, as before, will he get the opportunity? Fifty years later, has much changed for the better? Sure, some progress at some levels. But, not nearly enough, not even close, to what is ideal…..
Don’t know enough about all the details, and fit. But I would think, from Atlanta’s perspective, Kings and Blazers don’t sound that appealing. Kings – Hawks don’t need another short PG? Shumpert hasn’t been playing well either? Blazers – Hawks don’t need another 1st Rd pick this year? Also, not take on 2 yrs Turner salary? Guess there will be plenty of rumors until Feb 7!!! “A Royal Pain” – haha. Lots of compliments, but still ends up calling Lin “solid” or “backup”. I don’t know. Sometimes it feels like these bloggers (like the ones from TorontoRapture) REALLY like Lin a lot. But it feels like they can’t be honest about it, afraid of the stigma of being called a “Lin Fan”. Trying to stay optimistic here for a good team for Lin…..
Quite a few fouls on Lin, that are NON-SHOOTING fouls. No direct benefit to Lin for points. No direct penalty (except for team fouls). Agree the Refs don’t call enough fouls on him. On the other hand, look at today. He just touches a BIG GUY like Vucevic, and he gets called twice for fouls. For the record again, I am NOT advocating for Lin to any particular team. Just putting things out there. For the fun of speculation. This was the FIRST meeting between Orlando and Atlanta this season. Rewatched just Lin’s minutes, using Orlando feed. It was a LOT of “backup PG”, “off the bench”, “from the bench”, “backing up Trae Young”, “solid veteran”. But NOT ONE word about Lin playing well after coming back from serious injury. Took quick look at Augustin’s stats. He’s averaging 28 mins and 8 FGA. Just like today. As a STARTER he played 27 mins, took ONLY 8 shots. Meanwhile,, Vucevic took 23, Fournier 18, TRoss 15. And this is WITHOUT Aaron Gordon. And if, as sportstalkatl suggested, Vucevic gets traded to Hawks, then who will be the bigs for Lin to play with, just Aaron Gordon, and the rookie Bamba? I’m not sure guys. Is Orlando still a good fit for Lin? Or am I being too choosy…. Okay, remember this next time we complain Lin doesn’t shoot the mid-range! I would disagree about being signature move. Lin had a beautiful 360 turnaround fade-away jumper. HAVE NOT SEEN IT THIS YEAR. So, obviously, Siegel (Peachtree Hoops) haven’t seen it yet either. But, we will take the PROPS. Commentators are mouth piece for FO, if they do not pump up Lin to prepare their fans for Lin that means the FO is not interested in Lin. I said it before and will say it again, Clifford does not think high of Lin. Mark my words. The Hawks play in State Farm Arena, which is being used for Super Bowl events. Hence, their long road trip. Did Magic ask Ledumb what he thinks about Jlin? Melo or Jlin? Maybe in one of the stops, Lin will probably stay with the home team, LOL. orlando, after watching this game, is probably not a good destination for him. I feel it. that’s because he was expecting him to be like him ..the showtime lakers with linsanity like plays.. not the passive stand in the corner plays or really taking orders from BS. And didn’t expect it to be kobe’s farewell party season and racist byron scott. don’t know what the lkaers were doing.. bs record was terrible.. that’s the reason why he wasn’t a coach for a while. well, he is a solid backup right now. he lost his window to prove he is a starter.. but a starter can become a backup on a good team.. a starter is not always a starter..unless you are high draft, and got the gm and coaches blessing. Wade was a starter, he is now a bench guy. Only Lebron is still starter but that’s because he is great with multichamp rings. Lebron is very rarely be a bench guy.. unless he is 40 years old like vince. Turn your mistakes into opportunities for growth. Don’t let your mistakes be failures. Never stop learning, never stop improving! Compare to other teams, yes, Orlando is one of the best fit for Lin because even if he doesn’t start, Lin would be allowed to compete for maximum minutes there because Augustin is not highly regarded around the league. It could simply be that the Hawks are asking too much. As much as I love Lin, I wouldn’t offer a first round pick for him because he’ll be a free agent this summer and I could lose him for nothing. “Trae Young: bust or bad season? Trae Young had a lot of hype coming into the season. He got the Stephen Curry comparison due to his proclivity for launching long 3-pointers and size, but so far his season has been a disappointment. It’ s not for lack of opportunity — few rookies have gotten more minutes. It’s just that he’s had a lack of production, and for all the talk of his shooting prowess, he’s shooting terrible. for all the revelry of Young’s range, he’s shooting just 28 percent from 25 to 29 feet. The Hawks, already an awful team, somehow manage to play worse with him on the court — one part of a season doesn’t prove anything, but it’s not a great sign. Defense, naturally, is where the Hawks fall apart when he plays. He regularly lets point guards get right to the rim, ….. Picks, in general, cause him a lot of trouble;…… Some of that is poor team communication and the blame can be shared, but Young isn’t helping in any appreciable way. What about never stop eating. Your motto used to be never stop sleeping. But if Orlando or any NBA team is willing to trade for Lin for a high price of low 1st round draft pick or maybe 2 second-round pick for 3-month playoff run, they can be expected to give him major role/minutes to succeed. I’m curious to see which team really wants Lin to help their playoff run. fully agree here.If a team is willing to part with a first rounder, that team is very likely to maximize Lin as for minutes or possibly start him right away because they’re giving up decent asset for him. The Mavs and Smith Jr may now be on good term so Magic may have to turn back to acquire Lin from the Hawks. Thanks for the paste. The euphemism of development now is tanking. IMO, part of playing at the pro level is being able to perform under stress. Without the fear of failure, the lesson of “development” means very little. In many sports, practice can simulate the stress of peak performance. In golf, practicing putting can be improved by making putts meaningful by artificially creating stress of failure. An example is to create a circle of putts that must be made in order to complete the practice. Start by easier putts of 3ft, then 4, then 6. You’d be surprised how much mental energy you need for the last few putts. If you fail even once, you must start from the beginning again. I used to do a similar game on the tennis court to put pressure on the serve. The student needed to serve out a game or he can’t finish his practice. They are only allowed one serve on each side against an invisible opponent. Same scoring until a set is won. Depending on the skill of the athlete. You can also add difficulty until eventually, one missed serve means you’d have to start all over again. There’s a world of difference between practice and real game situations. Without the fear of failure, no true development can be made. Young players must learn from mistakes, but mistakes made without real consequences lack the emotional depth to force meaningful change. Even in my own youth, a bad loss would mean many sleepless nights of self analysis. In Lin’s case, he is even more advanced in his own process. Lin will always learn from every little mistakes he makes even in good games. Winning makes the medicine go down easier, but it’s by no means an indicator of his own satisfaction of how he performed. What matters to Lin is that he is better today than yesterday. That’s what true development and process is. Jeremy, raptors is playing against kings right now. Which team you like to join? Yeah. Stop over helping teammate on defense, stop jumping into bullies looking to hurt you, start shooting without hesitation and force opponents to respect your shot and you. it is the coach and ATL FO office fault. They throw TY out there with instructions to “do what you will” and he assumes that means throw long bombs, fancy passes etc. Nothing about defense, nothing about the team, and absolutely nothing about winning. Sad, but appropriate commentary on tanking taken to the extreme. 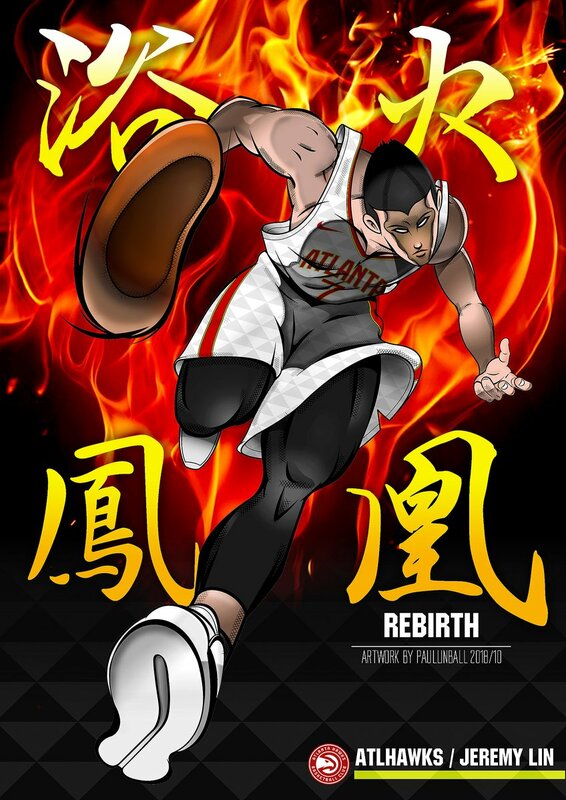 If, in fact, ATL brought in Jlin to “tutor” young TY, then either Jlin failed, TY did not listen or the ATL FO just got Jlin for his expiring contract and there was no mentoring (my vote). ATL has had all season to bring TY along and he is no better than he was in game 1, and maybe worse because of the potential blow to his confidence. And if he has a conscience he would realize he has false conscience. ATL FO should be ashamed and return 1/2 of fans money since there was a 1/2 effort put forth by this team in the name of sport. Melo only cared about the money, never deserved to be a franchise or star with his shot chucking and laziness. Melo, Harden, Walker, Trae Young. All these fake stars are why the NBA is a joke and boring as ever. Players like Lin and Yuta Watanabe brings life back to the NBA but they’d rather push them away and lose! Memphis has been losing many games due to poor coaching, offense, and injuries yet they refuse to give Yuta anymore than 3-5mins. And they still don’t understand Yuta is best used as a Guard and main ball handler not as PF just Doncic. Most fans’ motto… but Lin will have to figure it out himself or through watching Joe his younger brother who is more of a natural scorer. From the way Trae has improved his scoring and percentage recently it doesn’t look like his confidence will be lacking any time soon. Trae will just be another fake star after a few seasons. The league only cares about how many points are cored every night. By the end of Melo’s career he’d be traded and waived 10 times! NBA is a joke. Lin should know how much his fans suffer this crap just so they can support him. I don’t remember where I glanced today, it says something like James Harden is the 3rd NBA player behind Jordan and Kobe. WTH??? I dont like Kobe at all, but at least he is truly a good player basketball wise. Why discriminate species that needs hibernating? Competition for Lin? Could be, but I doubt it. But Conley’s got a MONSTER $30M+ contract for next 3 years. Last 4 yrs, has missed plenty of games due to injuries. Will be interesting to see who would want to take that on. Yes, it made it to local Cincinnati news. A relatively small city, with NO NBA team. But the article goes into much more details about the original incidents that prompted the students to speak up. Definitely a good read. It’s amazing that Lin picked this up. He must get these requests all the time. Can I complain one last time about why Lin is supporting, but Adidas gave Harden shoes, not Lin shoes? Conley is not a star and horrible PG. Memphis would be dumb to trade Marc Gasol but they might have decided to rebuild around Jared Jackson Jr.
Good thing. Close call. What a coincidence, Hawks play the Bulls tomorrow. Lin to Memphis would be a dream with Conley gone! My dream of Lin x Yuta tag team would come true, granted Yuta is also treated unfairly and only gets 3-5mins even with all those injuries. JB is also a terrible coach with boring offense. Behind them in what? Those guys especially MJ has tons of unbroken records till this day and no one (maybe GSW splashbrothers) will ever get 6 rings like him or that many finals MVPs. So excited I hope Memphis is also fighting to get JLin and trading Conley away! They really shouldn’t trade Marc Gasol but his age is too far from their new draft Jared Jackson Jr and possible franchise. It won’t be a long term deal but just making a playoff run with JJ and being able to see Lin x Yuta would be fun. BTW, in case you’re interested. Yuta highlights. I still think he has a very smooth game. Also nice story about Yuta’s background. (In Japanese, can’t understand most of it, lol.) But still interesting. He has a bigger jump on BBall than LIn did. As you have said, It would be an even nicer story if Lin and YW could ever end up playing on same team. Just stop taking charges would be a good start. I doubt memphis would try to trade for JLin. I think they’re trying to now rebuild for the future. That’s a long shot to happen..Don’t see why you would have any hope for that..almost 0 chance of Memphis trading for Lin. It’s not quite accurate to say TY hasn’t improved. He has. How could he not? He’s the main focus of the Hawks. I would say that TY has picked up some Lin moves. Whether it’s through practicing with Lin, or just from watching Lin play. TY has started to dribble and put defense on his back and take that same mid-range jumper that Lin takes. And he has learned to try to draw fouls shooting the 3. TY’s confidence hasn’t been hurt at all. He’s got plenty of swagger. Flexing after a basket. Smiling at the free throw line even when the team is down. “His efficiency has been much better over his past 23 games than it was the first 23. Young is taking and making more mid-range jump shots — Pierce said he’s learning to take the shots that are available. Importantly, Young is getting to the free-throw line more frequently. Haha. THANKS for saving me the click. If by chance you are referring to me not clicking on ESPN. You can openly make fun of me. I don’t mind, I’m not usually thin-skinned. I’m actually MUCH MORE sensitive on behalf of Lin, when he gets criticized unfairly, even by FANS. Or gets bullied by the likes of ESPN talking heads. The “racist” remarks made by Bomani Jones or Stephen A Smith during Linsanity. Hey, if the “post office” were bashing Lin, I would boycott them too. LOL. At the moment, I only boycott Nets Daily, and ESPN. ICYMI, let me make my case. Aside from exploiting Linsanity at the beginning, ESPN has always chosen to highlight Lin’s relative failures. Make fun of his hair, but rarely show his highlights. The latest diss was the Lowe-life article about Lin playing badly, after only 5 games back from potential career-ending injury. For NBA stats and news, NBA’s own website has TONS of stats, traditional, advanced, tracking….ALL there. Basketball-reference.com is another great user-friendly stats site. And more. Everything we ever want to know about a player or a team is there. Even their different jersey numbers from different teams. So, what the heck do I need ESPN for? I think of going there as a bad habit that needs to go. Portland, Clippers, Kings, Jazz, (Suns), and Wizards. All teams that had Lin rumors. Take your pick? Well, it just so happens. FYI – Their home lockers are right next to each other. Yes, agree. That IF a team is willing to part with GOOD assets, it will increase the likelihood that they want to win with Lin. My “doubt” with Orlando is not just about minutes. But what will Lin be doing with those minutes. Taking 8 shots a game in 28 mins, isn’t much better than now, at 7.5 FGA, in only 20 mins. And if he’s only going to back up Augustin? The rookie backup PG plays only 11 mins. Are fans going to be happy with that? But if Lin starts, and Clifford gives him respect, and Orlando makes the playoffs because of Lin’s contribution, then okay, I’m all LIN. I can see good and bad scenarios, pros and cons, with several of the rumored teams. I think Toronto could still work. Lin won’t be starting. But, Lowry plays a lot of minutes. He’s 32. If he doesn’t get good help and more rest, I can see him worn out by the playoffs. I don’t like Philly at all. Like I said, I don’t know which team would be good for Lin, but I sure know which ones wouldn’t be good. Yes, I think Magic thought he saw a bit of himself in Lin! Showtime Linsanity. What he said in the video about Lin playing team ball, and making his teammates better, and bringing excitement. “On a scale of 1 to 10, I give it a 20”. Ledumb – LOL. Probably will have to. Now there’s rumor of Melo to Lakers. If that’s the case, FUHGEDDABOUDIT! Yup, JB horrible. Associated with nightmares at Houston for Lin. Sorry, would rather see Lin & YW on different team. Another way to put it. Why would the Hawks want Conley? Gasol probably even tougher to trade. He’s 33. And they say Lin is old. I think it was Zcode that was talking about Lin and whether he plays better with days off and rest. This year, Lin played better (FG%) with 2 days rest (5 games). If anyone is interested. Here is link to Basketball-reference and JLin’s splits for this season. Also link to his SHOOTING splits. Confirms eye-test. Lin great at finishing at the rim. And LIN MR. 4th QUARTER. They still need salaries and players to replace the slots for rest of the season. Lin’s expiring contract will give them a temp starting PG to work with JJ and clear future cap space. True but a half season stunt would’ve been nice. Nets could’ve had them both and made Lin and Yuta their franchise players but no Nets would rather trade for draft bust Russell who will never be a star and have Levert as their PG. Either way I’m glad they are far away from their horrible injury inducing training staff. His shooting seems to still need work, rushes his shots a bit too much. Developing in G league gives him more time to practice. Though I’d prefer he played as a starting PG/SG alongside JJ. About Grizzlies, if they are trading Gasol and Conley, that means they are tanking. The HC there is JB Bickerstaff, remember him??? He was Rockets assistant coach when Lin was there and the one who was nice to Lin. Soooo, should we want Lin going to another tanking team but the HC may like him? Hawaks definitely will not take Conley due to the salary and Trae is there starting PG (lol), it will take 3 team to do it. That comes right after eating.